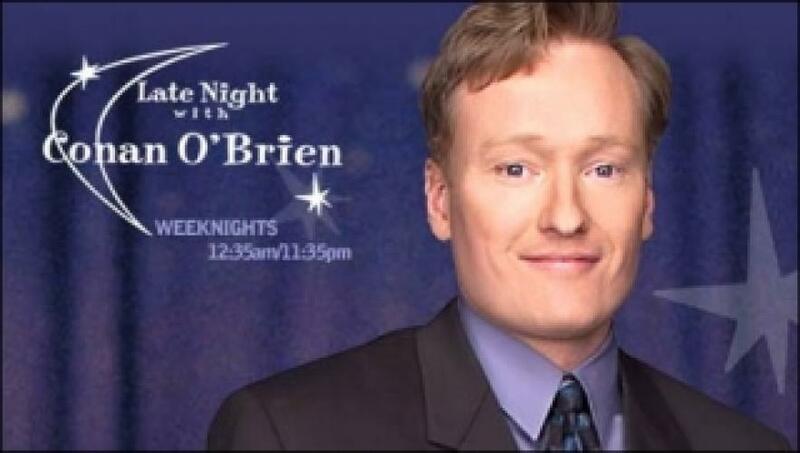 When will be Late Night with Conan O'Brien next episode air date? Is Late Night with Conan O'Brien renewed or cancelled? Where to countdown Late Night with Conan O'Brien air dates? Is Late Night with Conan O'Brien worth watching? "Keep Cool My Babies!" Smart-alecky, ribald and whimsical, Late Night with Conan O'Brien rose to become a critical darling and dorm favorite after a rocky start in 1993. There are many recurring characters (including Triumph the Insult Comic Dog, Vomiting Kermit, Eyeballs O'Shaughnessy, NASCAR-driving gun-toting Jesus, Masturbating Bear) and comedy bits (including New State Quarters, What in the World, Celebrity Survey, Actual Items, Conan Hates My Homeland) that entertain us night after night. New episodes air Tuesday through Friday, with reruns on Mondays and occasional breaks where reruns air all week long. It airs weekdays at 12:37 a.m. ET/PT. (Simulcast in HDTV) Next-day encores air on CNBC at 7pm ET. Late Night with Conan O'Brien next episode air date provides TVMaze for you. EpisoDate.com is your TV show guide to Countdown Late Night with Conan O'Brien Episode Air Dates and to stay in touch with Late Night with Conan O'Brien next episode Air Date and your others favorite TV Shows. Add the shows you like to a "Watchlist" and let the site take it from there.